Another curated showcase is coming your way on Friday November 24th! aaaahhhhhhhhhhhhhhhhhhhh!!!! SAVE THE DATE!!!!! My custom handmade line Amshinaapparel takes the runway yet again for another 2017 evening of fashion, arts and entertainment. I am so honoured to be selected to be apart of another RAW-artist Toronto event! Will you be there? Save the date :). 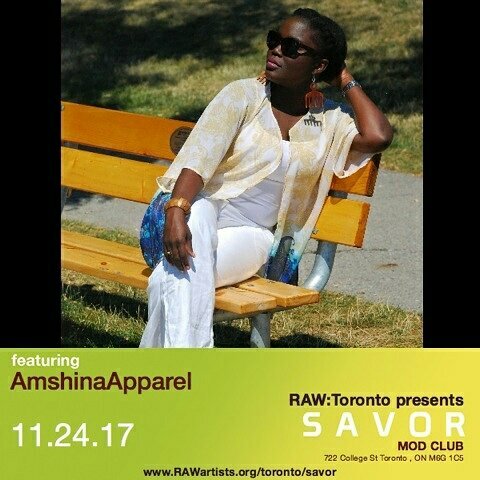 Here is the link if you are interested in supporting me in this event: Please ensure before you purchase that under selected artist you select Amshinaapparel! Stay tuned! The sewing chronicles continues!!!!!! Sounds like fun! Too bad I’m on the other side of the country!